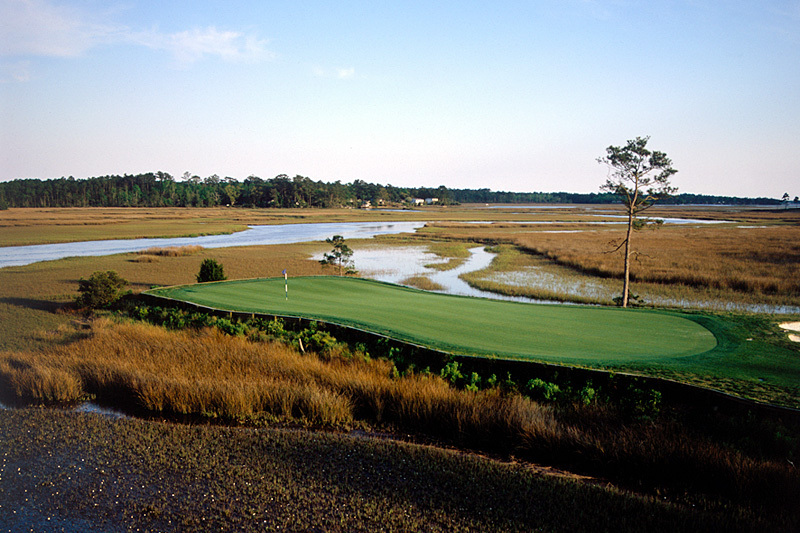 Rivers Edge Golf Course is situated upon one of the most breathtaking pieces of property that you’ll ever see is one of the most spectacular courses you’ll ever play. 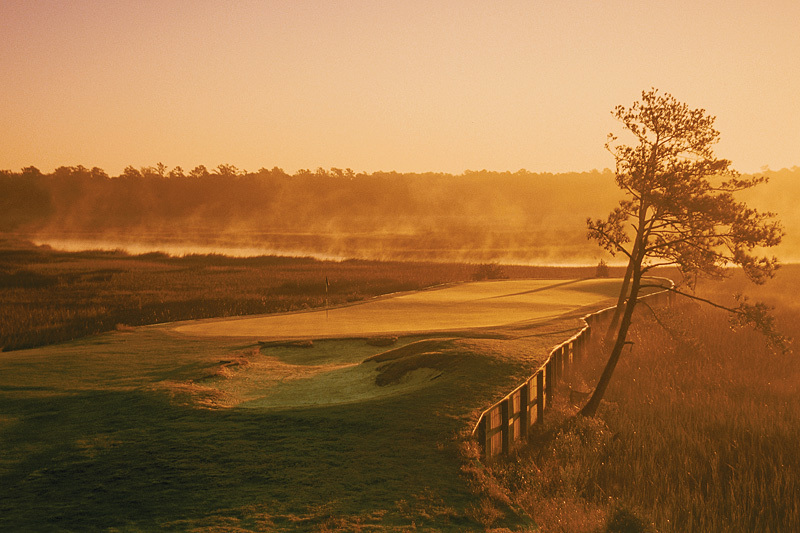 The very first day that Arnold Palmer gazed out across the Shallotte River, he remarked that this site had the potential to be something very special. 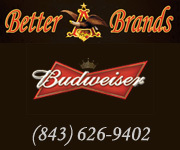 He assigned one of his top project managers, Erik Larsen, to the job and the result is sensational. 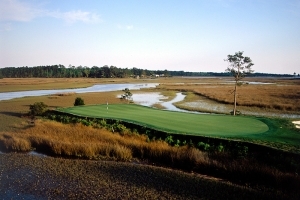 Six of the holes at Rivers Edge Golf Club sit high upon bluffs that overlook two miles of grassy marshlands bisected by the bends and turns of the Shallotte River. 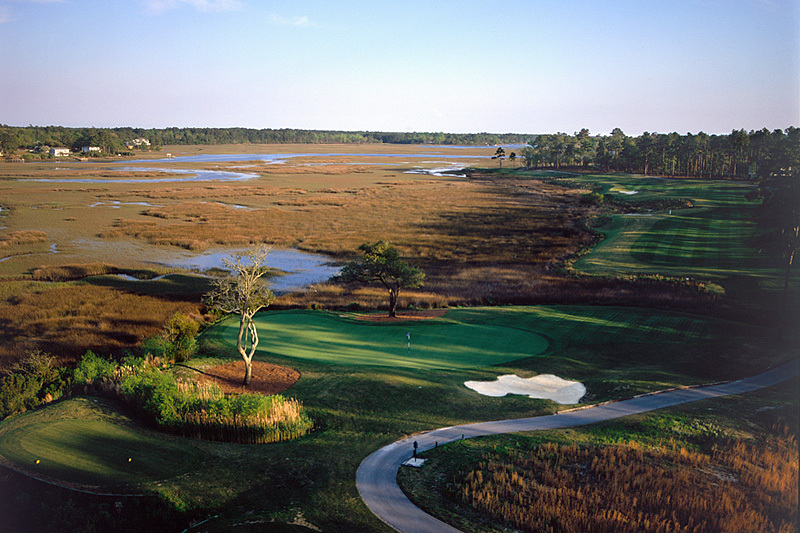 The interior holes at Rivers Edge are equally stunning with gentle elevation changes, freshwater lakes and paspalum greens. 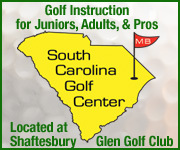 Rivers Edge Golf Course has become one of the most highly acclaimed courses in the Carolinas. 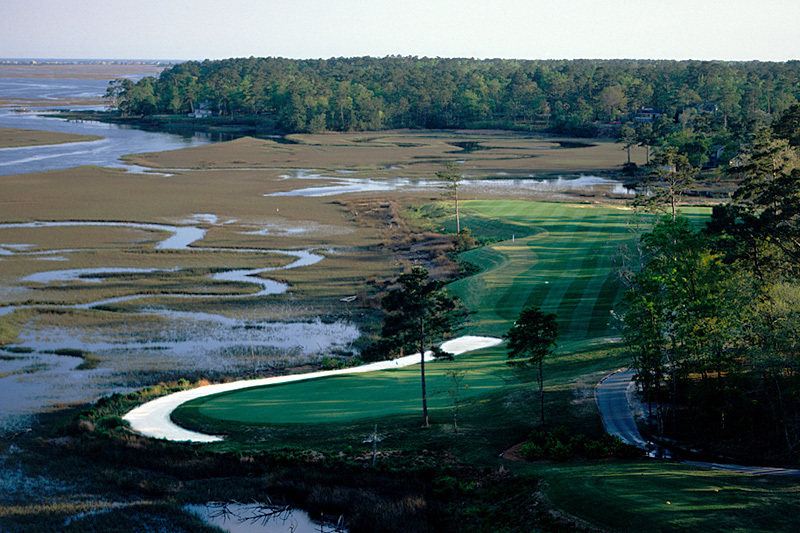 Exceptional design, condition and service add to the enjoyment of playing at Rivers Edge. 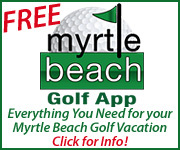 Located 20 minutes north of North Myrtle Beach. 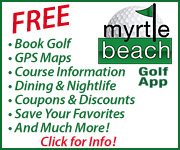 Make golf reservations for the Rivers Edge golf course north of North Myrtle Beach with On the Green Magazine.